Man City aim to clinch their top four spot in the Premier League when they finish their campaign away at Swansea on Sunday.. This article contains our SWANSEA v MANCHESTER CITY betting preview with predictions, betting tips, boosted odds, lineups, team news and no deposit free bets on the final Premier League matchweek! Swansea have pulled well clear of relegation and their recent home form is impressive including wins over Liverpool and Chelsea and last weekend they thrashed West Ham 4-1 at Upton Park and they sit comfortably in 11th in the league table. They have conceded just three goals in their last seven Premier League home games. Italian manager Francesco Guidolin has posted a hugely impressive W8-D3-L5 record through 16 league fixtures in charge of the South Wales club, a record that has earned Guidolin a new two-year deal at the Liberty Stadium. Guidolin has given those that will be involved at Euro 2016 time off, which means Gylfi Sigurdsson, Ashley Williams and Lukasz Fabianski will not be involved. Kristoffer Nordfeldt could make a Premier League debut between the sticks. Modou Barrow, Andrè Ayew and Wayne Routled are expected to lead the line in a 4-3-3 formation. Jefferson Montero and Alberto Paloschi remain doubts due to hamstring injuries. Manchester City settled to a 2-2 draw with fellow contender Arsenal at their own Etihad Stadium last Sunday. The Citizens have only won five of their last 13 league matches, they dropped to fourth place in the league table, three points behind the Gunners, but they are still just ahead of rivals Man United. Anything less than a point could be a disaster as The Red Devils, at home to Bournemouth, are just two points adrift. Manchester City have won six and lost none of the last seven Premier League encounters with Swansea. Sergio Aguero has scored in six Premier League games in a row, his longest ever run in the competition, and he is eyeing the golden boot prize as he sits one goal behind Harry Kane (25) ahead of the final day. Price boost! Get 10/1 Manchester City to win + £100 bonus! Enhanced 4-fold: 25/1 Man City, Man UTD, Southampton & Spurs all to win! 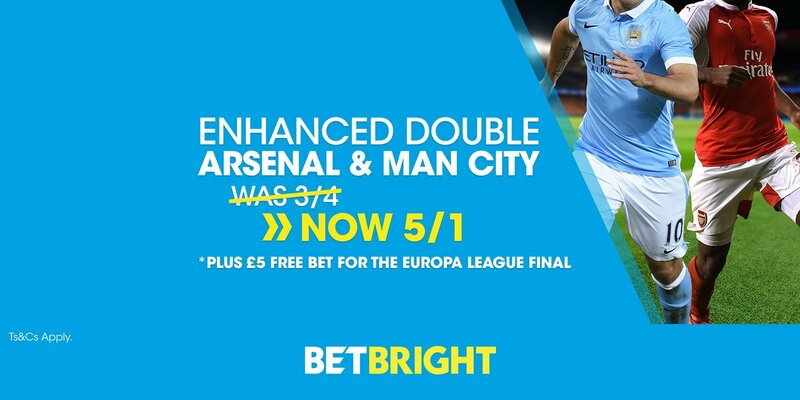 Enhanced Double: 5/1 Man City & Arsenal both to win + £5 free bet! Crazy price! 15/1 Aguero to be Top Goalscorer (was 21/10) + £5 free bet! Enhanced odds - 5/1 Kane or 10/1 Aguero to win Golden Boot! Risk-free! "Swansea v Man City predictions, betting tips, lineups and odds (Premier League - 15.5.2016)"